I’ll be honest, I’ve always had a secret wish to write a children’s book. But for now, I’ll have to settle for simply living vicariously through the stories my children are creating on this cool new book-making app. 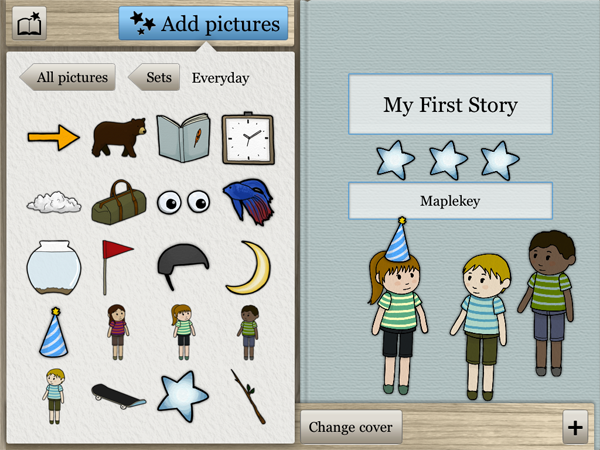 With hardly any learning curve, the Picturebook app allows children (okay, and their moms) to easily create and share their own self-authored books. With templates to choose from that look just like the real deal, your kids can type up a story of their own and drag and drop in a a variety of illustrations to bring their book to life and truly make it their own. 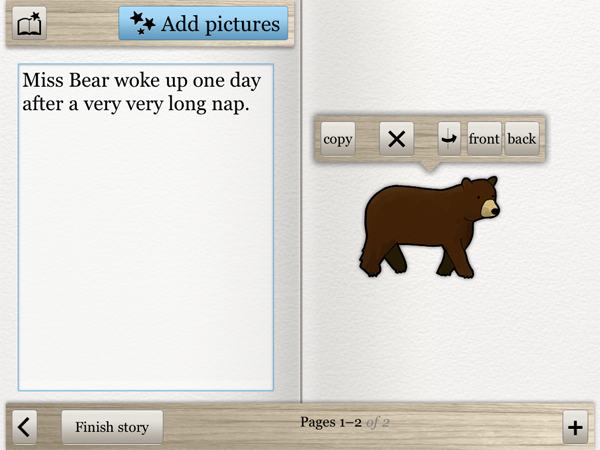 It seems like these app-creators have thought of everything–the clacking of a typewriter as your children write up their stories, and tons of flexibility and ease in creating great pictures to go along with the story. Pictures can be pinched smaller or larger, rotated, flipped and even brought to the front or back of other illustrations on the page. Once your stories are finished, you can swipe through and read them like any other ebook and even share them with family or friends (who also need to have the app on their device). Even smarter: the newest update will include a toddler lock which will eliminate any accidental purchases of more picture bundles. Picturebook is a free app available in iTunes. Molly Balint is a tech and parenting writer at Babycenter, and a former Cool Mom Picks and Cool Mom Tech contributor. Our picture sets will be on sale 50% for the day as a part of the promotion. I love this concept so much… Very bummed it’s not available on Android 🙁 Happen to know if there are plans to go there?? Going to try to bring this to the Nook by early November and then other Android devices after that. Might be later if we have problems with porting it, but hopefully we won’t.